Many places follow sustainable principles, but being certified as a sustainable destination is an honor few qualify for. Norwegian philosophy is very much that conservation is everyone’s responsibility. Enjoying nature and the outdoors is considered a national pastime, and this is reflected in our attitude towards the preservation and use of the wilderness. 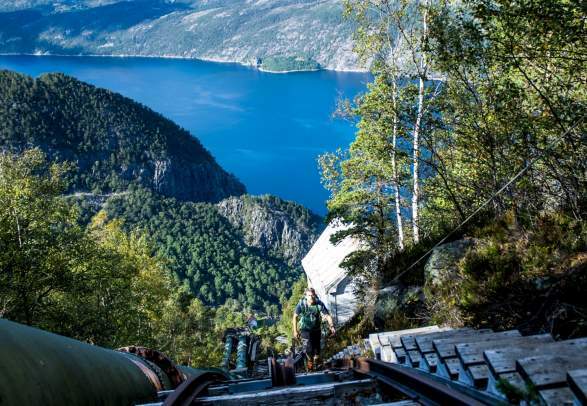 In practical terms, this means that even though large parts of mainland Norway consists of national parks and other protected areas, Norway’s right of access makes sure you can enjoy nature more or less as you wish – even in these sensitive and vulnerable regions. Originally an age-old tradition based on sustainable principles, long before anybody had ever heard the term, this has since been set down in law. Even today, it is still based on a long-term respect for nature and wilderness that is prevalent in Norway. Today, knowledge of ecology and nature is much greater than it once was, but so is the wear and tear on both the landscape and the people. In order to protect both nature and community, landscape and businesses, we try to take the long view: What we enjoy experiencing today will be even more enjoyable to future generations, and it’s our job to make sure it’s still there when their turn comes. Many places follow sustainable principles, but being certified as a sustainable destination is an honour few qualify for. It takes years of work demonstrating their lasting commitment to providing the best possible experiences for their guests while keeping the negative impact of tourism to a minimum. Many places follow sustainable principles, but being certified as a sustainable destination is an honor few qualify for. It takes years of work demonstrating their lasting commitment to providing the best possible experiences for their guests while keeping the negative impact of tourism to a minimum. 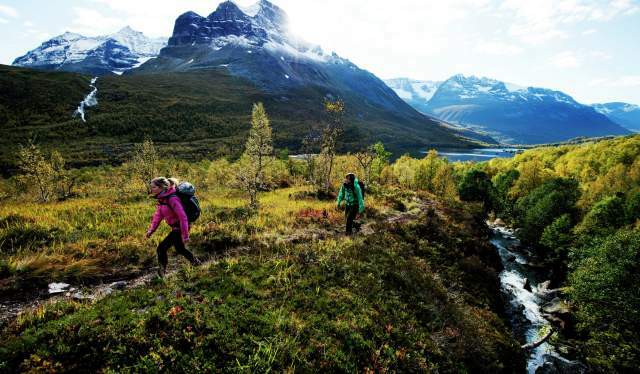 Check out Norway’s green destinations and read more about their sustainable practices. Becoming a sustainable destination takes years of work, with the whole local community working together. These are the next in line, and are expected to be certified in the year to come. Make sure your holiday in Norway has the smallest footprint possible. Every time you see a tuft of grass on Visitnorway's pages, you know that the associated products and offers are a part of the environmental scheme. “The tussock”/Green Travel is a common navigation to all qualified environmental schemes used among tourism enterprises in Norway. The symbol helps you find environmentally certified alternatives. The following certifications fall under Green Travel. This national certification is awarded to businesses and operators that hold a high international level in ecotourism. Over 100 strict criteria on environmental performance, host-role, local community integration, and purchasing must be met and often improved. The certificate is renewed every three years. The Eco-Lighthouse certification places demands on energy use, waste disposal, transportation, procurement, and work environment. Over 5000 businesses in Norway are certified with this, which must be renewed every three years. Global ecolabel, recognized by GSTC, for hotels, small accommodations, campsites, and attractions. Certified businesses must meet strict criteria for waste, energy, water, procurement, green areas, CSR, and staff involvement. High standards are maintained through annual certificate renewal, rigorous application process, documentation, and frequent audits. Global, prestigious award based on a series of stringent environmental, educational, safety-related and access related criteria to be met and maintained, aimed at beaches, marinas and sustainable boating tourism operators. More than 4100 sites in 46 countries are awarded with Blue Flag. Whether you are interested in sustainable activities, delicious craft beers, or award-winning cheese, you will find it along The Golden Road. Filter your search below to locate the "Green Travel - Eco-certified providers".